Social media is often seen in opposition to learning. It’s a distraction in the classroom. It takes students’ attention away from actual learning. However, when utilized properly, social media can be a powerful classroom tool. 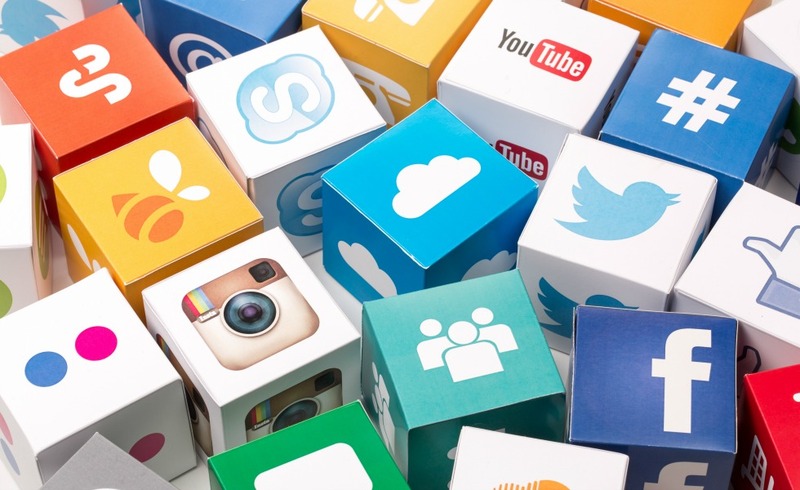 As an educator using social media, you’re engaging with students on a platform where they already feel comfortable, while also sowing them a different side. Especially for a language learner, social media can be a wonderful source of native speaker content to enhance listening, reading, and writing skills. Specifically, this article will outline two practical online learning activities (though they could easily be adapted for in-person classroom settings as well), that will give your students listening and reading practice as well as enhance their summary and response writing skills while also encouraging them to think critically. Why are summary and response skills important? Because within summary and response writing, you are asking students to practice skills that will greatly advance their academic careers. You are asking them to summarize, respond, and think critically. Asking your students to summarize information they have just heard is the most basic method of assessing basic comprehension. You can start this process by asking basic comprehension questions about videos and/or social media posts you bring to your students’ attention. Asking students, the who, what, where, and why questions. Eventually, you will be able to ask students to summarize a listening or reading without baiting them with the basic comprehension questions first. A skill that will come in handy if they plan to enter a 4-year university. Response writing is essentially getting your students writing about THEIR feelings or reactions to the topic. It is important to remember that some cultures do not teach this writing style and as such it can be a stark contrast to the native cultural writing style of your students. As with summarizing, response writing can be scaffolded by asking leading questions and then instructing students on how to combine these answers into a paragraph, essay, dissertation, etc. Questions like: How did the video make you feel? Why? Do you agree or disagree? Why? Here they WHY is of utmost importance. The WHY is how you get your students to write about their own feelings in relation to classroom content. Asking student to think critically about a topic is asking them to go beyond basic comprehension questions and basic understanding, and to apply this new information into their personal and/or professional lives. For example, if a video you’ve asked them to watch pointed out a social justice issue, ask students to come up with a solution, not to simply identify the issue being discussed in the video. This is yet another skill that will greatly impact their academic lives, and arguably, make them more well-rounded individuals. In this activity you will utilize video clips from native speaking national new sources in the US. Luckily, the website for these national news organizations provide in-numerous 2-3 minute video clips of news stories. Student can select their own on a topic they find interesting, or you may select one for the whole class. Examples websites include: http://www.nbcnews.com/video, http://abcnews.go.com/Video, http://www.bbc.com/news/av/10462520/one-minute-world-news. This is the easy section. If you’ve selected one video for the entire class to watch, then you should develop targeted and specific comprehension questions for them to answer. If you have decided to allow students the freedom to select their own videos, then you could create a blank template of the who, what, where, why questions for them to answer. If they are advanced in this area, you could simply ask them to summarize the video. § Why/How did this particular video resonate with you? § Do you have a personal connection to the story? § Does it impact your personal or professional life? § Do you agree or disagree with the thoughts of the video? · Why or why not? · What are the implications of this story for the future? · How does it effect society/technology/industry/etc.? · If the video brought attention to a problem, what are some possible solutions? · Who is your celebrity? · List some of their most well known work. · What is your personal opinion of him/her? · Why did you choose this celebrity? · Do you like them as an actor/model/athlete? o Do you respect their talents? § How does the celebrity portray themselves on their social media site? § Does this portrayal match what you know about them? o For example, some actors use social media to bring attention to political issues they feel are important, but do not choose roles that represent these feelings. 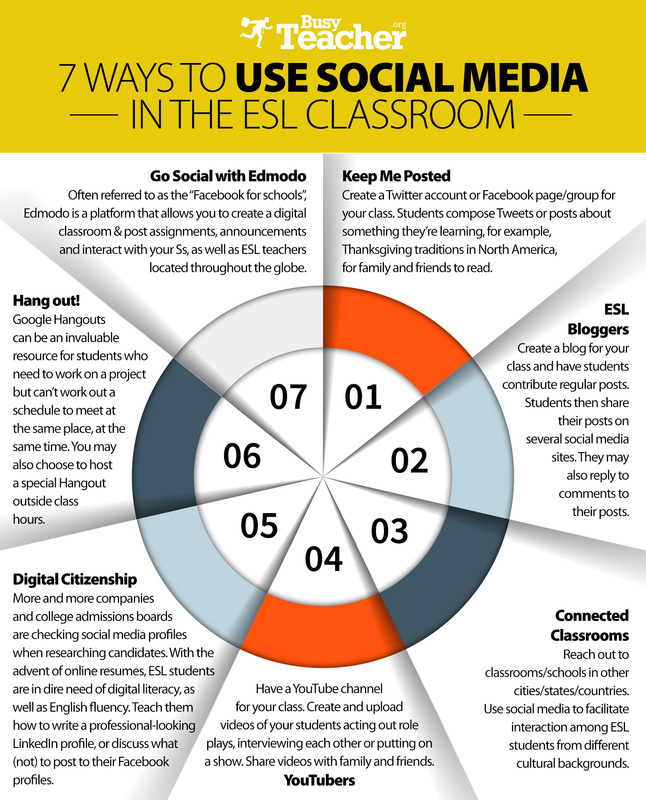 Social media can be a wealth of source material for an ESL/ELL setting both in-person and online. If utilized correctly, social media can be engaging to students and supports listening, reading, and writing skills. The two activities outlined here are just the beginning. Hopefully, they whet your educational appetite, and get the wheels turning for even more activities to use in your own teaching. You hear the same story from teachers again and again; their classroom is a nightmare to manage. There are kids that do not have support at home, who do not want to learn, and state and federal regulations that only increase the burden. One thing is for sure in this day and age nothing comes easy.